The power of crystals has been discovered. Today, more than ever, people are turning to crystals to aid them along their path to healing. Yes, crystals could be on the rise due to their beautiful aesthetic, but it is much more likely the masses have been introduced to what ancestors discovered centuries ago – healing through crystals. Although it is difficult to pinpoint exactly where crystal healing originated, it is hard to dispute the power they hold. Using crystals to heal is centered around vibrations. We as people consist of both energy and matter. Because of this, our bodies are receptive to the crystal’s vibrations, allowing it to act as a catalyst for shifts in physical, emotional and spiritual energy. It is said that crystals have the ability to cleanse the body of negativity, bringing balance to one’s life. 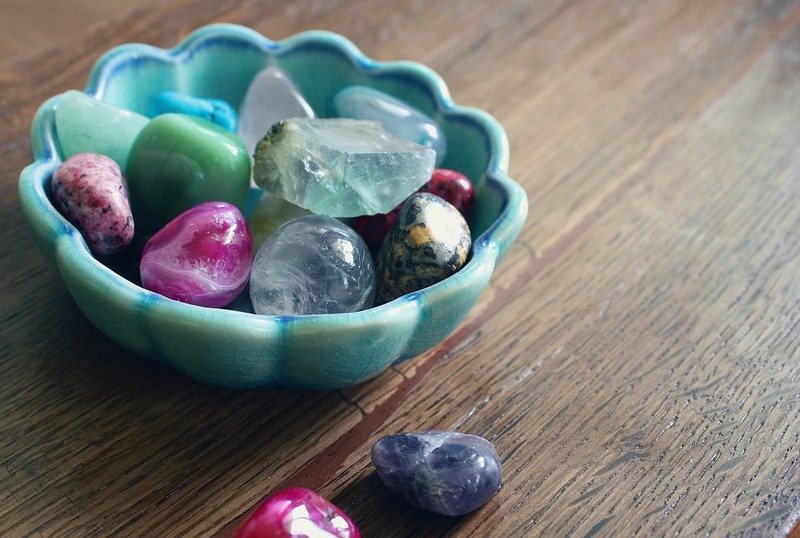 Whether you are placing them around your home, a calming bath, carrying them in your bag when you’re on the go, or holding them while meditating, crystals can be used in many ways. Increasingly, women are also carrying small stones in their bras, for it is placed directly on the body and close to the heart. Like many restorative practices, what works for one person may not work for another, so it is important to find what feels right for you. Alex Hadassah Anzalone’s book“Using Gemstones to Connect to your Superpowers” is a great tool to use when feeling uncertain on how exactly to begin resetting your metaphysical states through crystals. Known as the master healer. Quartz crystal is made up of silica – the most abundant element on the planet. Because of this, when placed on the skin, a merging of forces occurs, enhancing optimal health and reinvigoration. Quartz crystal is used to heal on a physical, mental and emotional level and allows whomever uses it to align with light and clarity. Rose quartz is the stone of unconditional love and is said to help open one’s heart to better give and receive love. This popular stone is used to attract peaceful relationships by creating a nurturing, peaceful energy for the bearer. Tigers Eye has the ability to aid in prosperity. This stone is said to relieve uncertainty, encourage integrity and promote drive. The bearer of the Tiger’s Eye can utilize the stone to grow and maintain wealth by creating a state of balance, awareness and understanding. Turquoise is a common stone amongst the population. Aside from being popular on jewelry, many are unaware of the healing powers this stone holds. Turquoise is highly regarded as a protective stone and good luck charm. By wearing this stone, it can give the bearer a sense of confidence and wisdom while in public. It is the crystal to turn to in times of communication, for it facilitates the ability to speak one’s truth from the highest source of love. Don’t be warry if none of the above stones resonates with you. There are an overwhelming number of crystals for you to discover. All it takes is finding just one, and you will be able to unlock the magical power the crystals hold.